75 students from primary and secondary schools across Ireland have had their drawings chosen from almost 2,000 entries to this year’s competition. WANT TO CHOOSE what you’d like to see on the Google Ireland homepage? Google is asking people to vote for their favourite doodle of the search engine logo from a shortlist of 75 drawn by primary and secondary school students across Ireland. Almost 2000 children entered the competition to see their picture displayed on the Google Ireland homepage. The theme for entries this year was “I wish…”. John Herlihy, the head of Google Ireland, said he was “blown away” by the pictures. “It is fantastic to see such creativity and passion in Ireland’s youth,” he said. ” This year’s theme really inspired them – the doodles depict everything you could possibly think of, space travel, dinosaurs, dragons and everything in between”. Vote for your favourite drawing on the Doodle4Google site here – but be quick. Voting closes at midnight on 6 February. The five most popular doodles – one from each category – will go forward to the final, and a Google ‘master doodler’ will select the overall winner. Email “Students compete to have doodle shown on Google Ireland homepage”. 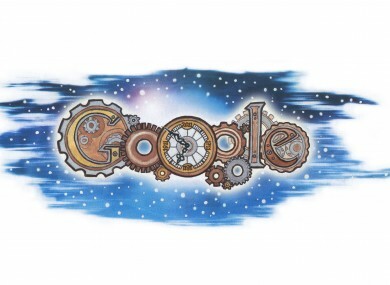 Feedback on “Students compete to have doodle shown on Google Ireland homepage”.